Precision on the Range, at the Ranch, on Patrol or in the Woods. 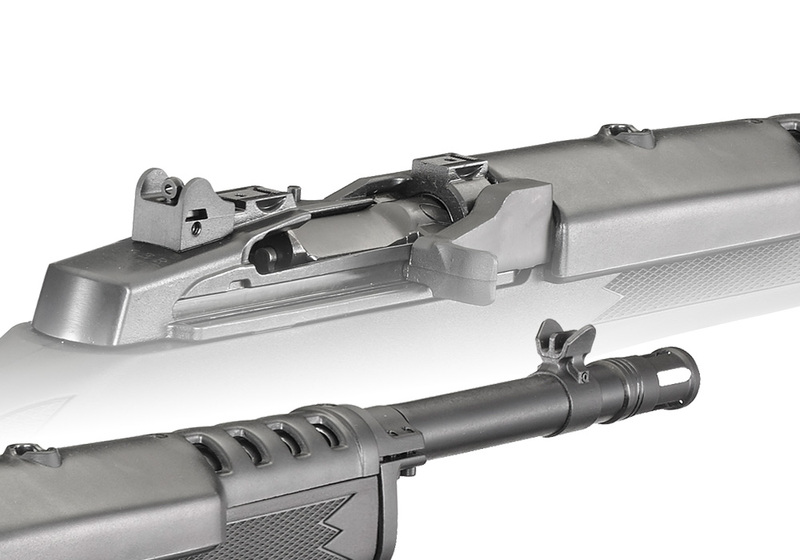 Their short barrels and overall short length make them favorites in any application where maneuverability and ease of handling are priorities. 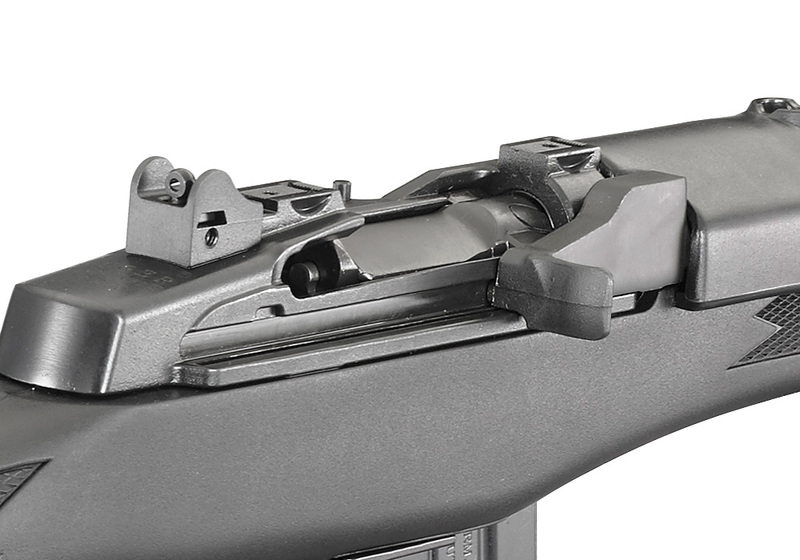 Simple, rugged, Garand-style action with breech bolt locking system, a fixed-piston gas system and self-cleaning moving gas cylinder gives unparalleled reliability under harsh operating conditions. 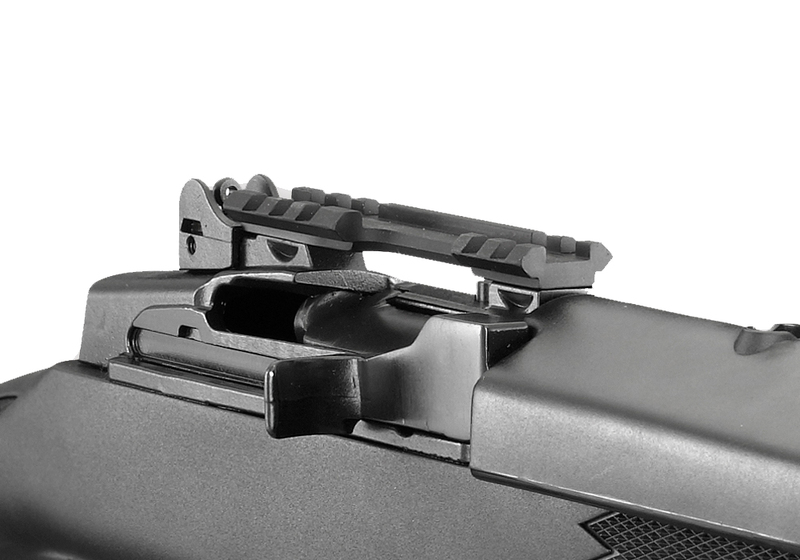 Integral scope mounts, machined directly on the solid steel receiver, provide a stable mounting surface for included scope rings, eliminating a potential source of looseness and inaccuracy in the field. 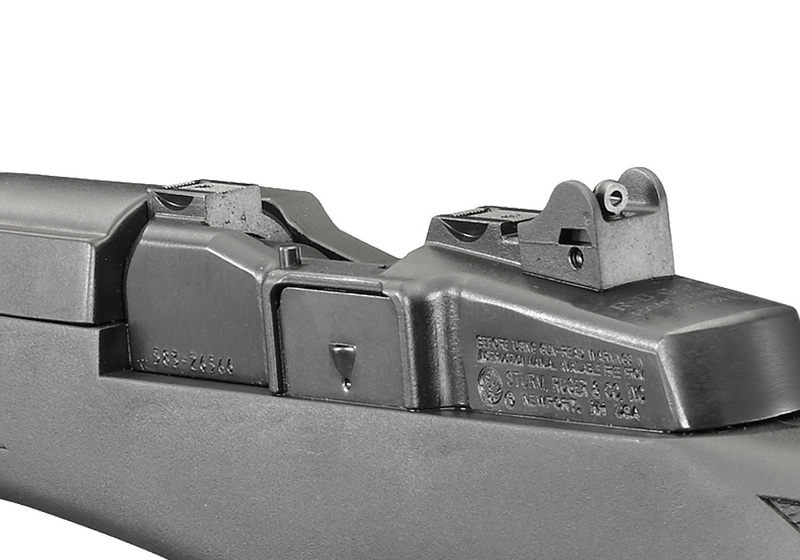 Accurate sighting system with ghost ring rear aperture sight and a non-glare, protected blade front sight. Receiver is drilled and tapped for mounting the included Picatinny rail. 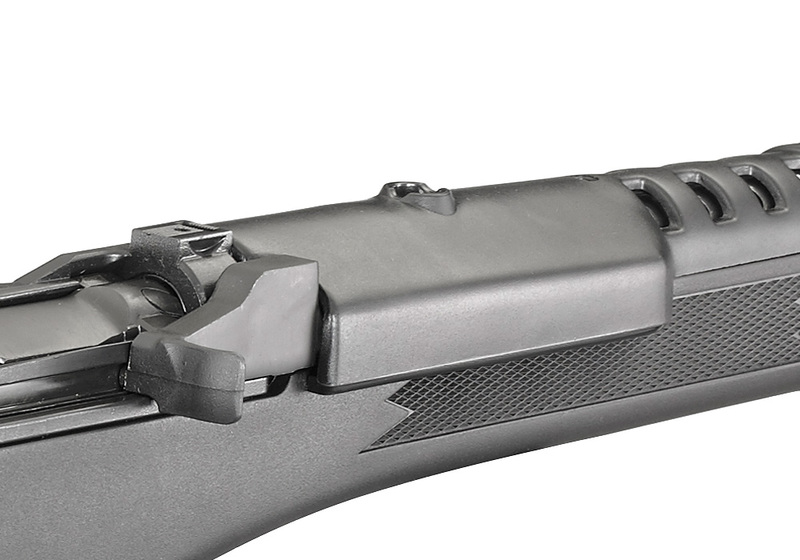 Also includes: two magazines; Picatinny rail; scope rings. 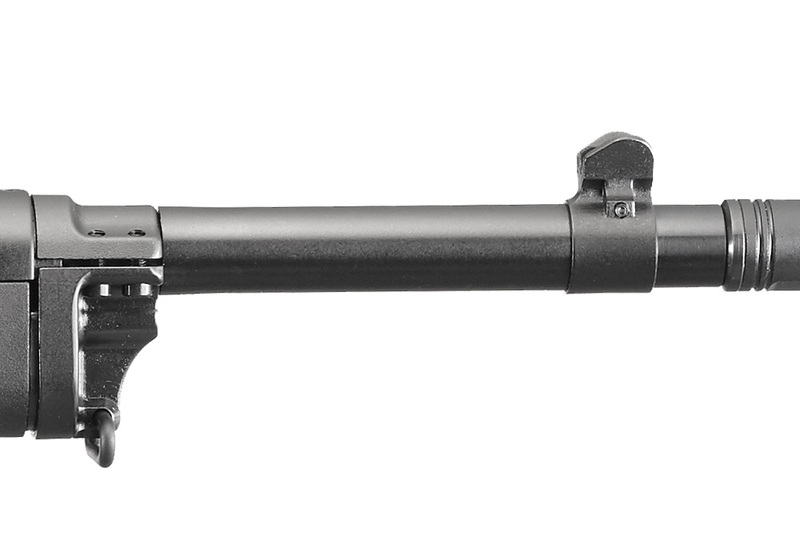 Compact hammer-forged barrel with factory-installed flash suppressor.